Invite the young wizard Harry Potter and his magic to your next party or special event! 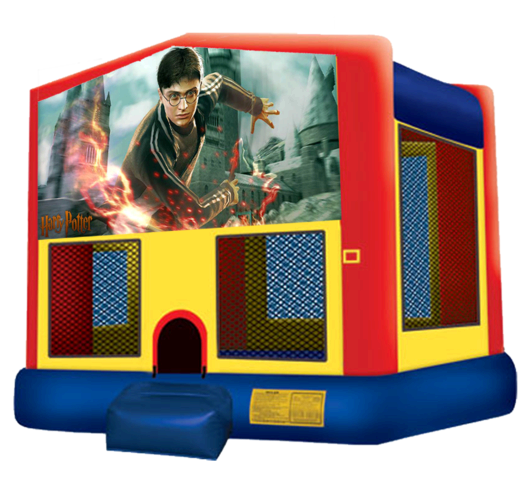 The Harry Potter moonwalk will bring the wizardry and alchemy of Harry Potter and the Hogwarts gang to the party, transporting your guests into a wonderful fantasy world. 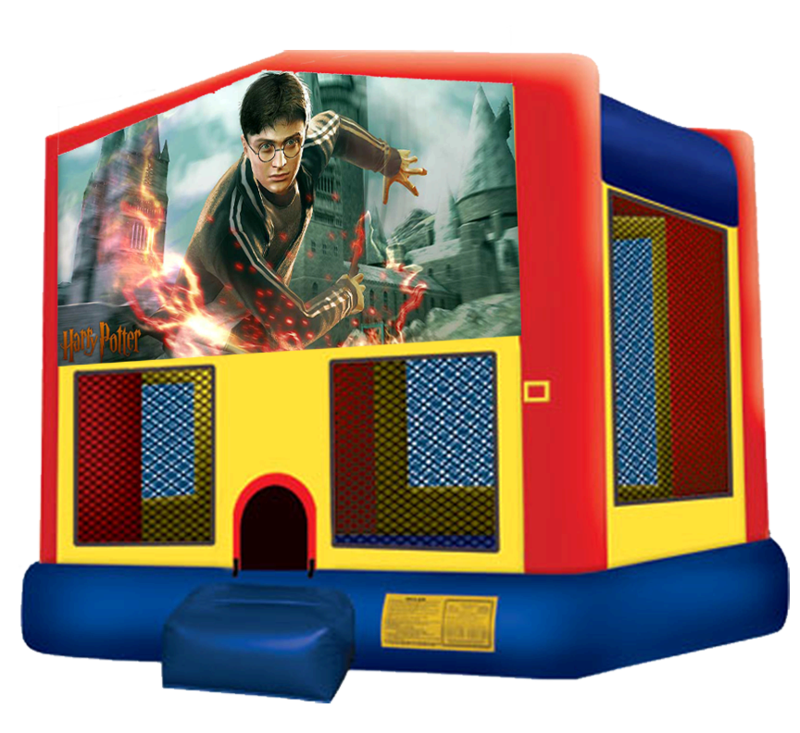 This Harry Potter bounce house features a safety step, knotless netted windows and many of the other latest safety options. Delivered clean and on-time, every time!